Although 2019 is no doubt a huge year for his Hellboy creation, Mike Mignola has other projects in play. And one in particular will be noteworthy to fans, as it lets him pair up with a familiar colleague. 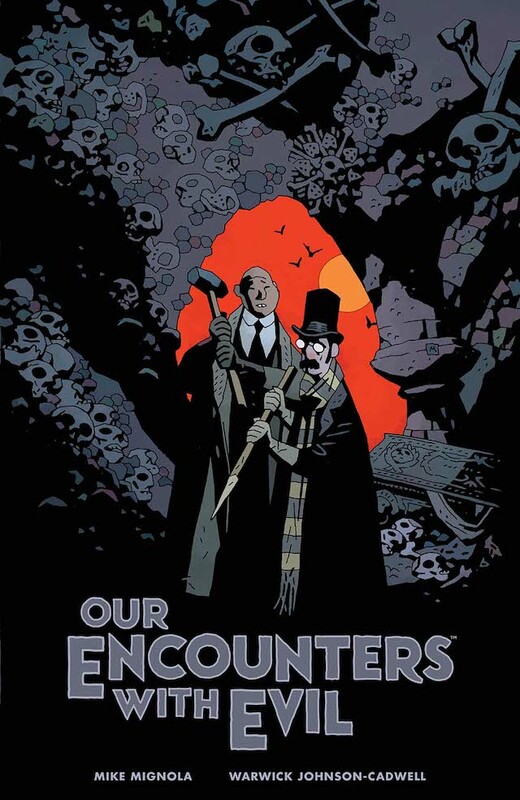 According to The Hollywood Reporter, Mignola is hard at work on a new graphic novel titled Our Encounters With Evil: Adventures of J.T. Meinhardt and His Assistant Mr. Knox. 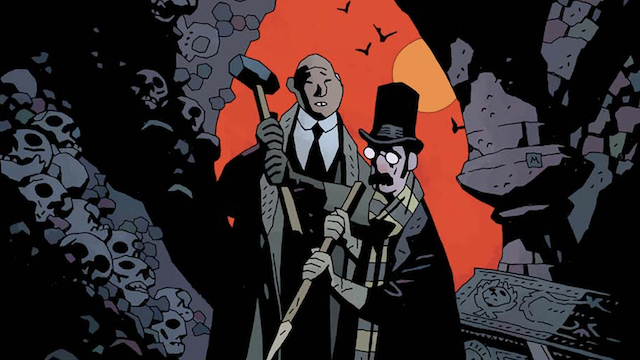 This project is a sequel to Mr. Higgins Comes Home, which will reunite Mignola with British cartoonist Warwick Johnson-Cadwell. The story follows Meinhardt and Knox as they once again seek out dangerous creatures, alongside vampire hunter Ms. Mary Van Sloan. “Warwick brought an insane amount of energy and invention to Mr. Higgins Comes Home– more ideas than could ever fit into that one book- so I was thrilled when he told me he wanted to continue the adventures of Meinhardt and Knox,” add Mignola. He didn’t let on just what kind of threat the team would face. But he did tease something was coming. “Look forward to a whole world of vampires and related monstrosities like nothing you’ve ever seen before.” The cover art by Mignola, colorist Dave Stewart is below. Fans will be able to pick it up in comic book stores on October 9. A wide release in book stores will follow on October 22. Will you be checking out Mignola and Johnson-Cadwell’s latest work? Let us know in the comments below!